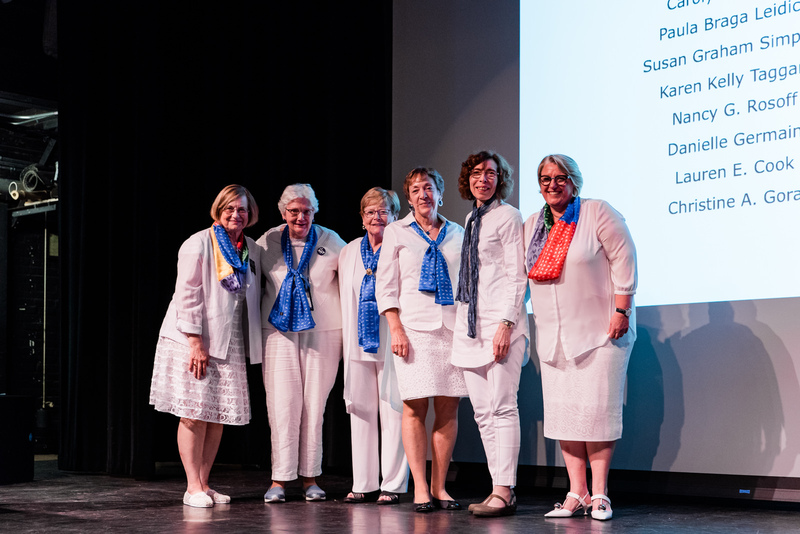 Congratulations to the 2018 alumnae award winners recognized for outstanding achievements and dedicated service to the Alumnae Association and/or College. 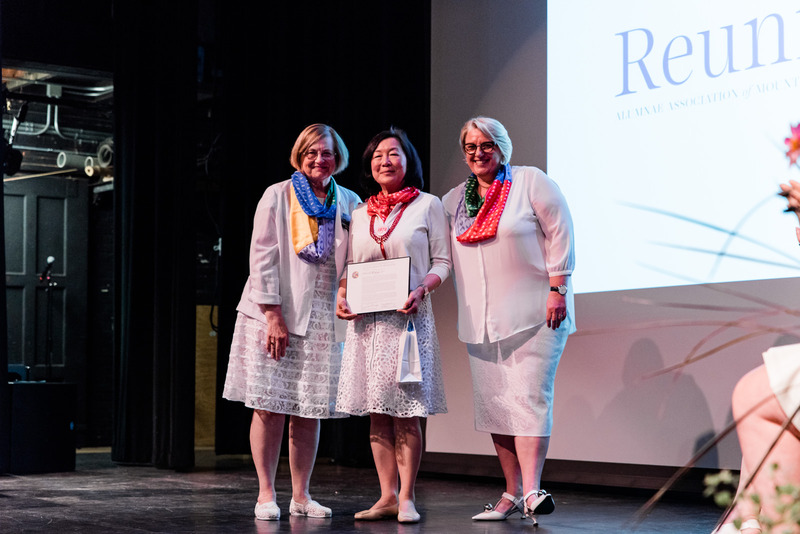 The Alumnae Association’s reunion awards program recognizes the contributions of outstanding alumnae. 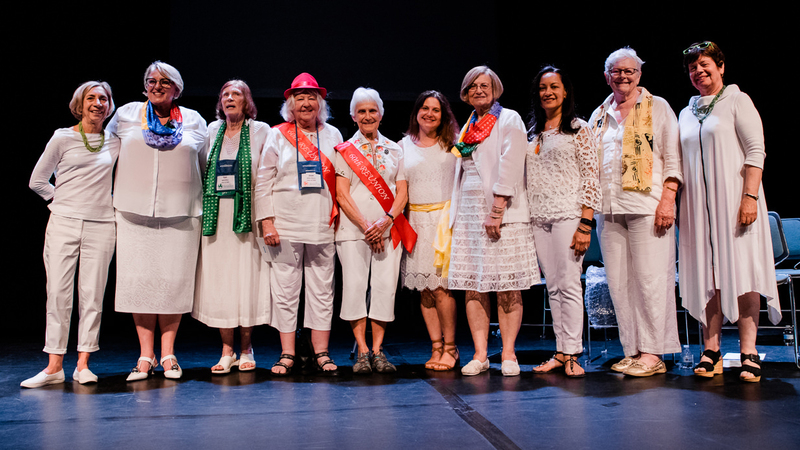 Two volunteer alumnae award committees select recipients based on a twelve-month vetting process that includes extensive research on each nominee. 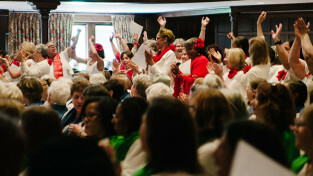 View a complete list of all past winners or recommend an alumna for a future award. Awarded to an alumna for outstanding achievements and service to society that exemplify the ideals of a liberal arts education, through salaried or volunteer fields of endeavor. 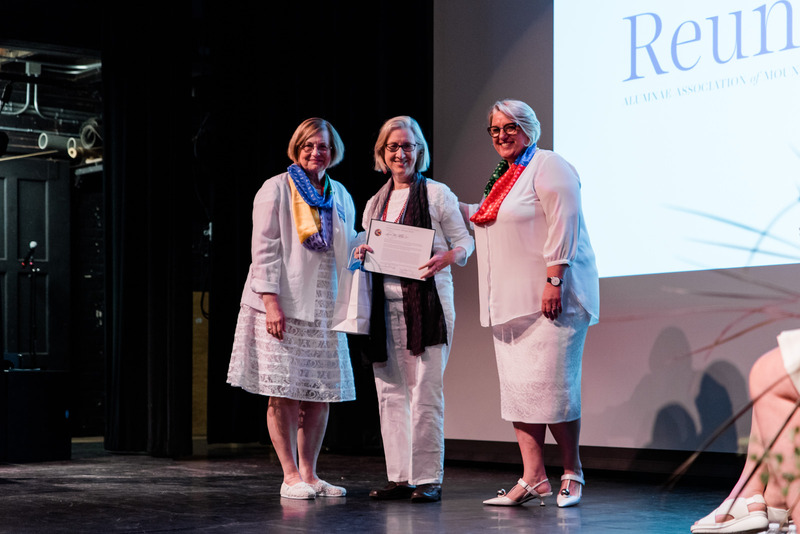 Eleanor G. Rogan, class of 1963, has been a pioneer in the field of biochemistry as a highly respected educator and groundbreaking researcher focusing on women’s health concerns. 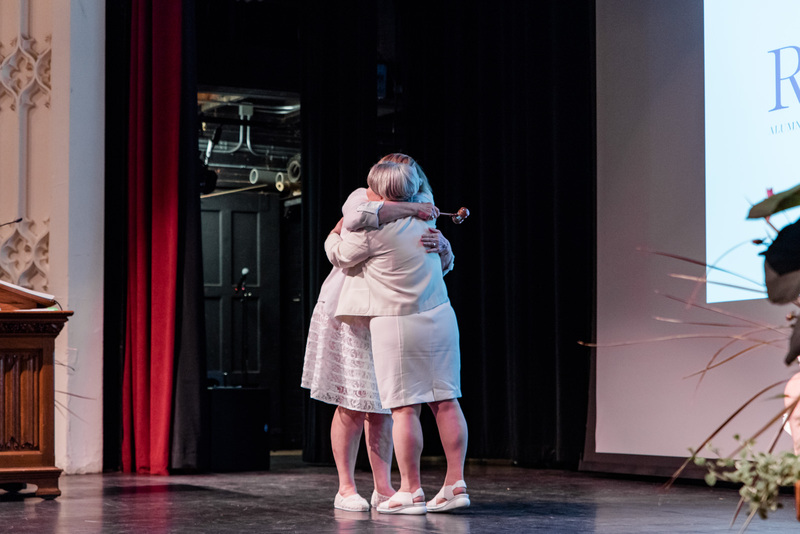 Susan Rieger, class of 1968, has dedicated her professional life to promoting equality in her work as a lawyer and a leader in higher education. Most recently, she has harnessed the power of fiction writing to examine the complicated waters of family and work in the early twenty-first century. 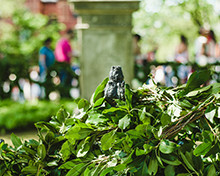 Frances G. Burwell, class of 1978, is an esteemed authority on the European Union in both the public and private spheres and has devoted her career to the understanding of international relations. As she has risen in prominence, she also has paved the way for women professionals in foreign policy. Lynn M. Kelly, class of 1978, has dedicated her professional life to public interest law, working to ensure that those without financial means have access to meaningful advocacy. In a career spanning more than thirty-five years, she has worked both on the front lines and in myriad leadership roles to bridge the justice gap. Lan Cao, class of 1983, turned her experiences as a South Vietnamese refugee during the Vietnam War into two critically acclaimed novels that are at once intimate and epic in scope, all while pursuing a career in the law. Lina Maria Rivero Cashin, class of 1988, is a trailblazer in spaceflight. She has transformed space and cyber operations, policy, and strategy with an eye toward improving safety through transparency and collaboration. 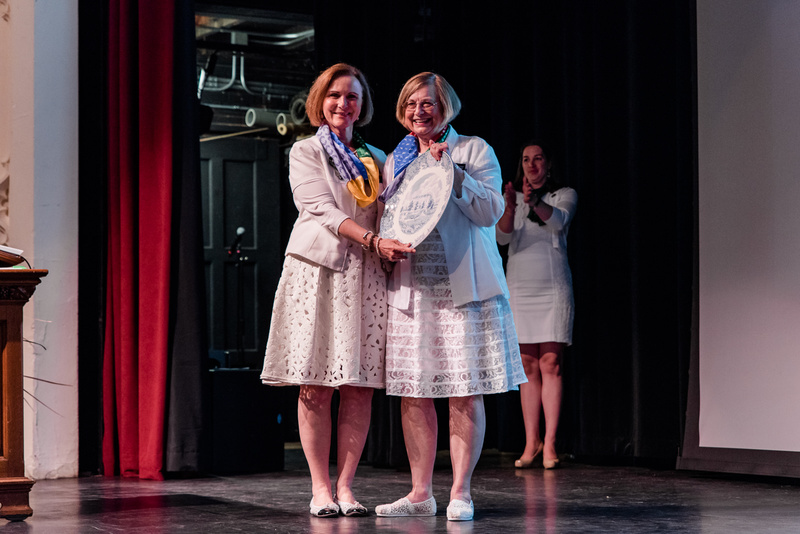 Awarded to an alumna at her twentieth reunion or beyond for eminent service and significant leadership in promoting the effectiveness of multiple areas of the Alumnae Association and/or College. 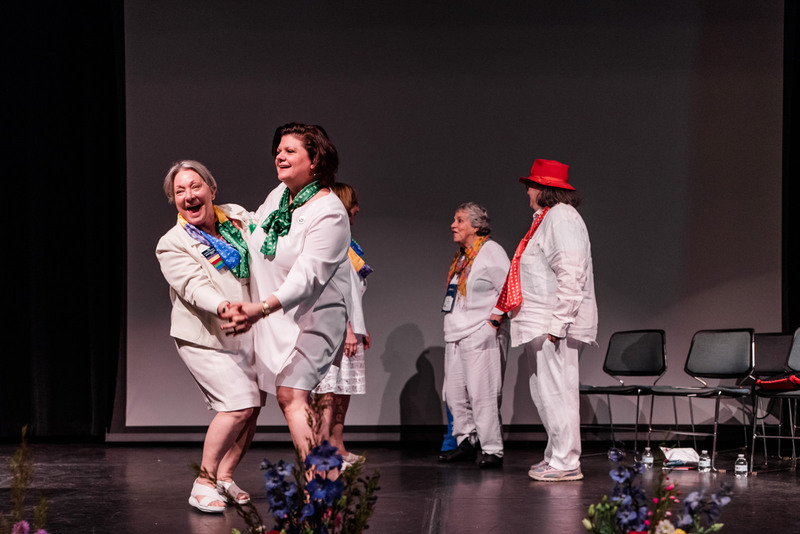 Maria Zoe Mossaides, class of 1973, has shown exceptional dedication to the College for more than thirty years, working tirelessly on fundraising initiatives in many roles for Advancement, spearheading new initiatives for inclusivity and serving as the Alumnae Association president. 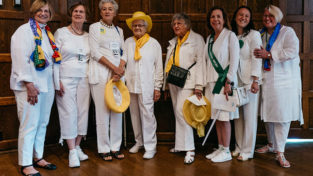 Eleanor Chang, class of 1978, has served the Alumnae Association and the College for more than three decades through work on multiple committees and as a member of the Board of Trustees. 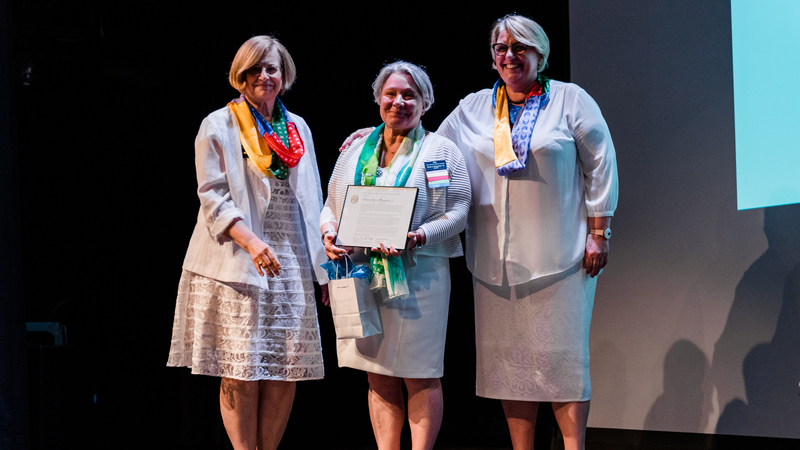 Through her global perspective, she has elevated the visibility and enhanced the reputation of the College while increasing alumnae engagement. 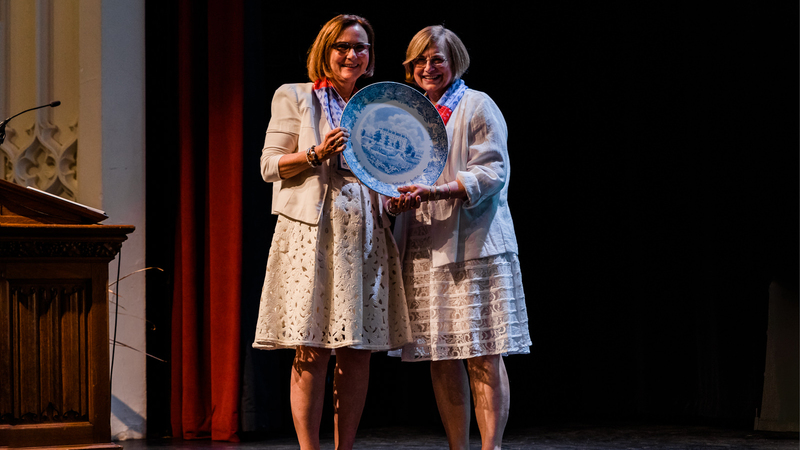 Awarded to an alumna for outstanding achievement in and contributions to the field of education, honoring the service of former President Elizabeth Topham Kennan ’60 to the College and to higher education in general. 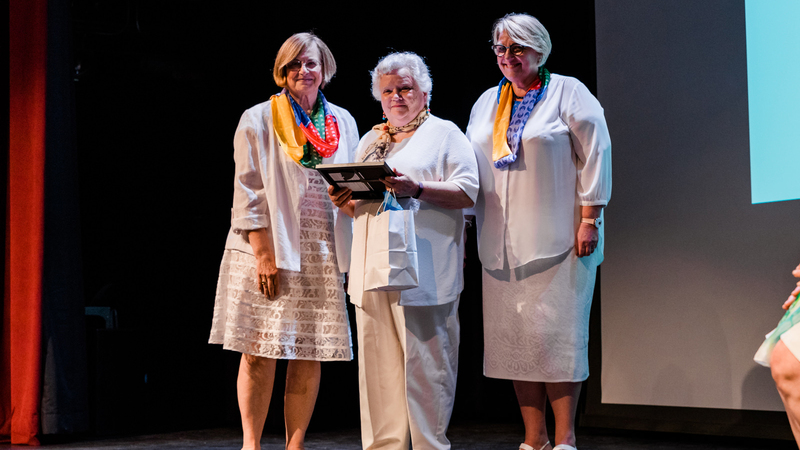 Mirella Jona Affron, class of 1958, has been a trailblazer for women in academia, serving as a distinguished faculty member and vice president of academic affairs in a large and complex urban university. 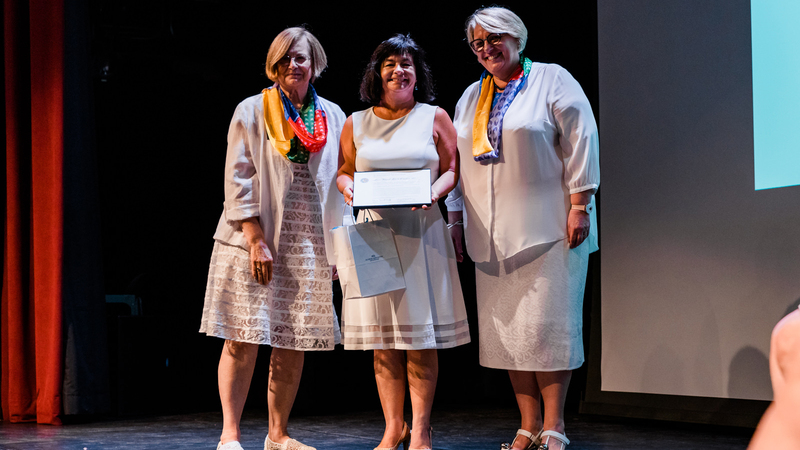 Elizabeth Ward Tannenbaum, class of 1968, has spent forty years making important contributions to the field of English for speakers of other languages and had helped develop and implement peacebuilding programs. 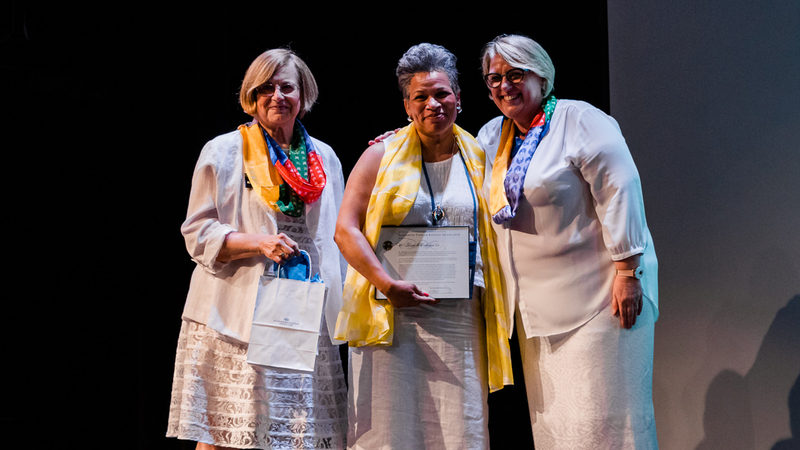 W. Rochelle Calhoun, class of 1983, has dedicated her life to promoting equity, equality and humanity in education as a passionate advocate for student success for than twenty years at Mount Holyoke College, Skidmore College and Princeton University. Awarded to a young alumna (graduated fifteen or fewer years ago) who demonstrates exceptional promise or sustained achievement in her life, profession, or community. Awarded to an alumna who has demonstrated consistent effort and active involvement in one area of service over an extended period of time. Volunteer effort may be on behalf of a class, club, affinity group, the Association or the College. Awarded to the reunion I class with the highest total number of attendees, this award was presented to the class of 1968. 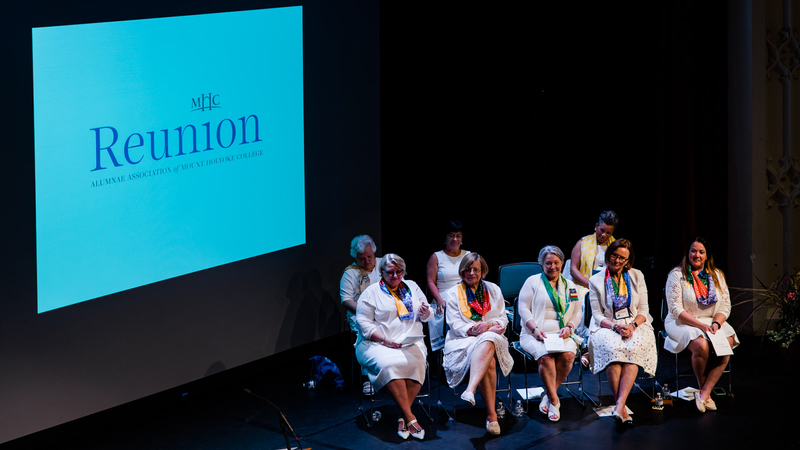 Awarded to the reunion I class with the highest percentage of attendees, this award was presented to the class of 1968. Awarded to the reunion II class with the highest total number of attendees, this award was presented to the class of 1988. Awarded to the reunion II class with the highest percentage of attendees, this award was presented to the class of 1958. 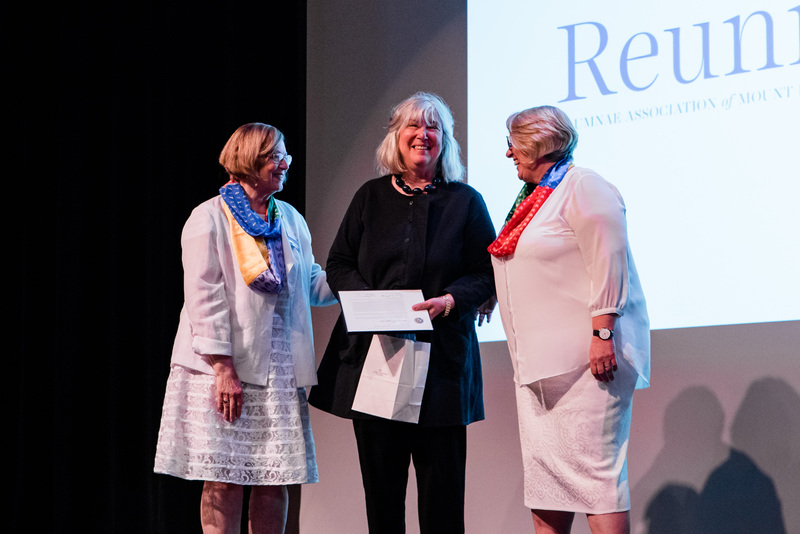 Awarded to the reunion class with the highest total participation in giving to Mount Holyoke during the reunion fiscal year. 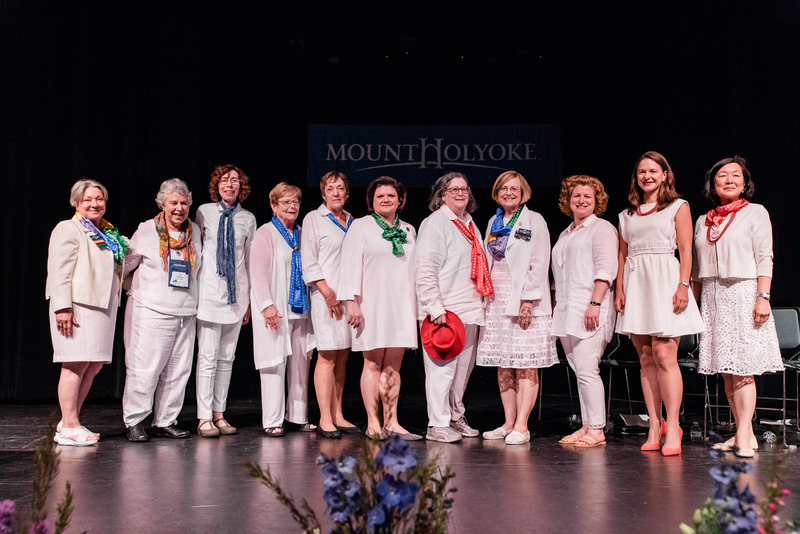 Awarded to the reunion class that raises the most total dollars for immediate use through The Mount Holyoke Fund during the reunion fiscal year. 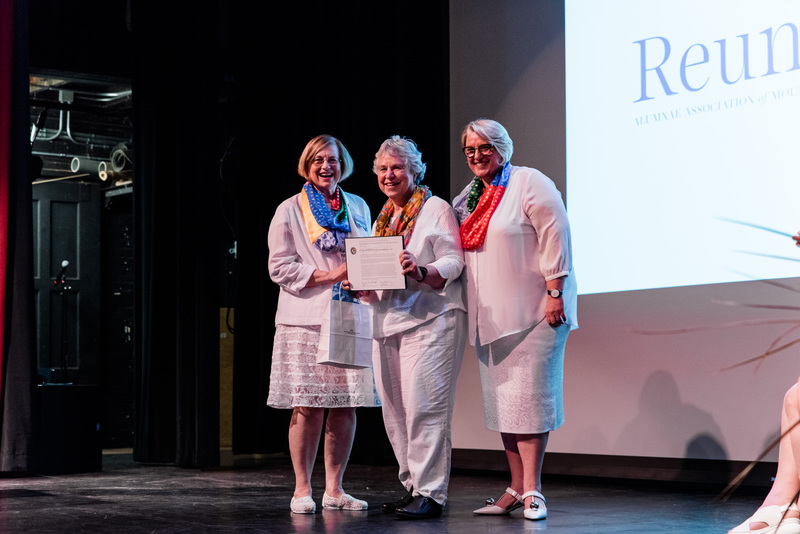 Awarded to the reunion class with the highest total giving to all funds for the previous four years and the current reunion year. Awarded to the reunion class with the highest percentage of Laurel Chain Society members.